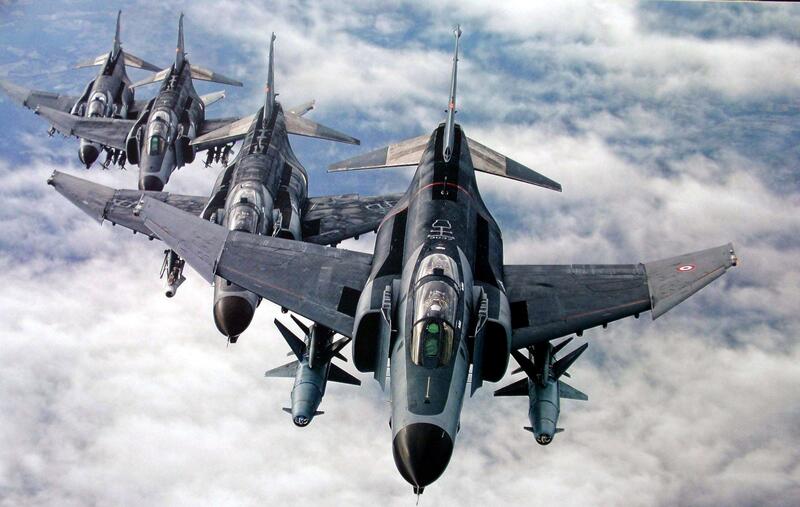 airforces_freak wrote: Once upon a time the same was said about the F-4E's. Israel Korea and Japan have been doing that for years too. Very Ottoman magic such wow. Harrier would be a completely different story. AFAIK, US stormtroopers AV-8B Harrier II's have been modernized with the Link 16, AIM-120 AMRAAM, helmet-mounted target designation system and multi-mode pulse-Doppler radar AN/APG-65. They are intended to extend the aircraft service life to 2030. With structural modifications I am sure Turkey can extend their service life another 5 years. Its not about structural mods nor upgrades. Its about parts to keep the aircraft flying when the manufacturers are no longer around and those parts are no longer being manufactured. That’s exactly the consequence when the British sold their fleet and no longer supports the Harriers. Now all 3 fleets (USMC, Spanish and Italian) are all supported by Boeing under HISS which is a maintenance only contract (which incidentally expires in 2024). weasel1962 wrote: Its not about structural mods nor upgrades. Its about parts to keep the aircraft flying when the manufacturers are no longer around and those parts are no longer being manufactured. That’s exactly the consequence when the British sold their fleet and no longer supports the Harriers. Now all 3 fleets (USMC, Spanish and Italian) are all supported by Boeing under HISS which is a maintenance only contract (which incidentally expires in 2024). Yep. Plus the training pipeline is going to dry up among other problems. Why on earth is air forces freak determined to tell us the turks will spend billions to keep old harriers flying to a 2035 date when F-35Bs have already been in service 20 years? That seems extremely stupid. Which of course means I hope they try it. nutshell wrote: Its a good idea. You do realise that the TuAF have already started buying F-35s with deliveries starting next year... God help those hospitals and schools in sicily. You need to take that WWI cap off your head. Turkey has no intention of bombing Sovereign States especially its allies such as Italy. The TuAF is there for defensive purposes. I think you meant to say Cyprus, not Sicily. I give this thread a "highly vulnerable to shitposting, with negative forecast" rating and have already instructed my assets manager to liquidate any involvement in it. With Turkey leaving NATO and allying with Russia who knows what they'll do. At this point the Turks only plan on killing Kurds, but the situation could get out of control. Joining Russia, and Iran will put Turkey at odds with Saudi Arabia, Egypt, and Israel. If turkey leaves NATO you once suggested the American nuclear warheads stored in Turkey really belong to them. On the way out will you try to take control of them? You do understand that the Americans would use force to get them back? Turkey must never be allowed to take possession of the F-35. tincansailor wrote: Turkey must never be allowed to take possession of the F-35. Can you please point me to the post where I purportedly said Turkey intended to bomb Italy? tincansailor wrote: Its a good idea. Turkey couldn't care less about the B-61 tactical nukes (Less than 50 kt- CAT F) at Incirlik AF base. Everyone in the intelligence community knows that Saudi Arabia and Turkey have access to Pakistani Nukes. In any event if Turkey is allied with Russia it comes under the Russian nuclear umbrella. Turkey currently also produces many conventional ballistic missiles under the guise of an indigenous satellite launch capability. This includes MIRV technology. It's indigenously designed and developed MILDEN submarines also have land attack capability. In summary Turkey's conventional deterrence capability does not even need it to go nuclear. That's not what you used to say. 50 kt is hardly a tactical nuclear weapon. The bombs dropped at the end of WWII were between 15-20 kt. I'd ask you the same question I'd ask a North Korean, have you tested a reentry vehicle? NK also got nuclear technology from Pakistan, via the A Q, Khan network, but they didn't get reentry technology. Being allied with Russian doesn't mean a nuclear umbrella. Every U.S. ally isn't so covered. You'll have to come to a special arrangement with Russia to have that level of security. That's not something granted lightly. MILDEN Class? That's still in it's early design phase. It's not even scheduled to start construction till 2028, and won't be in commission till 2033. Erdogan is becoming the Mussolini of the 21st century. Turkey must never have the F-35, or nuclear weapons. What Pakistan has Turkey and Saudi Arabia have.